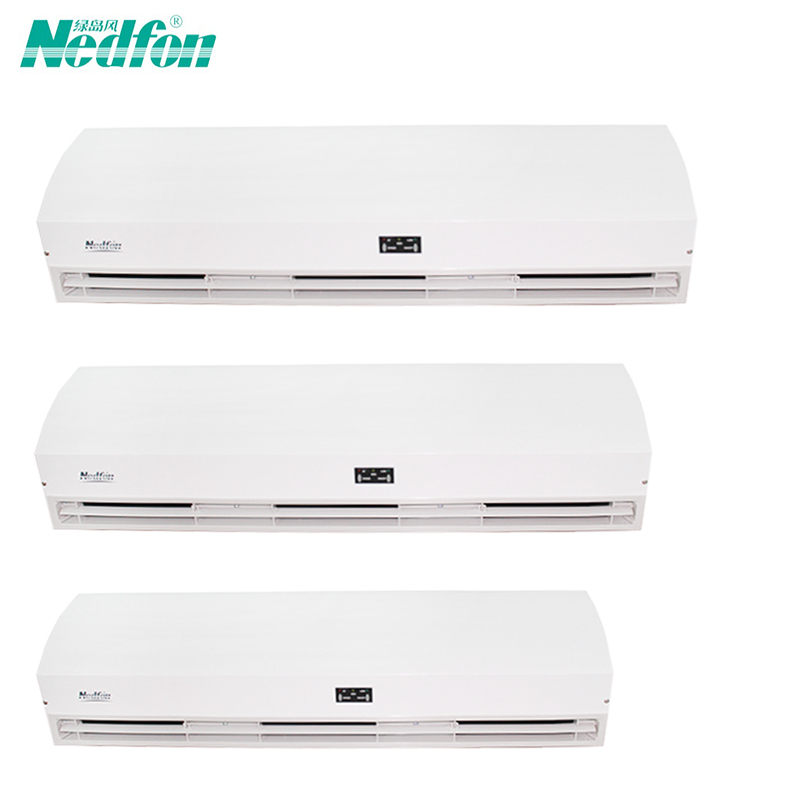 Air curtains Nedfon FM3512DY, Length (1.2m), recommended height (3,5m). It is known that on open doorways with two adjacent areas in different conditions the air is interchanged between them because the laws of physics tend to equalise the temperature and pressure difference between both sides. 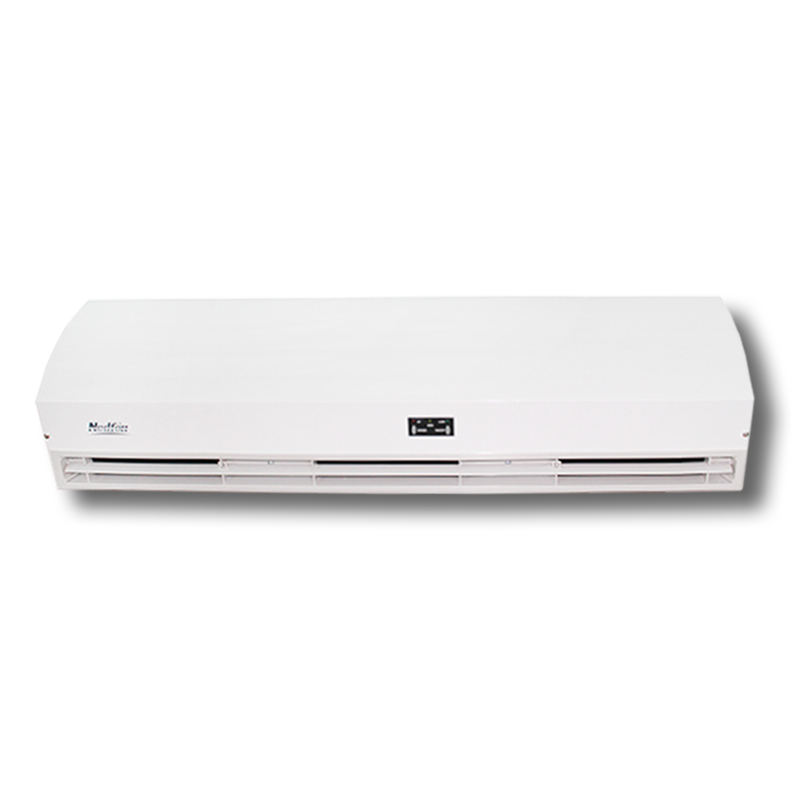 The air curtains reduce energy costs by keeping heated or cooled air in the internal building atmosphere. 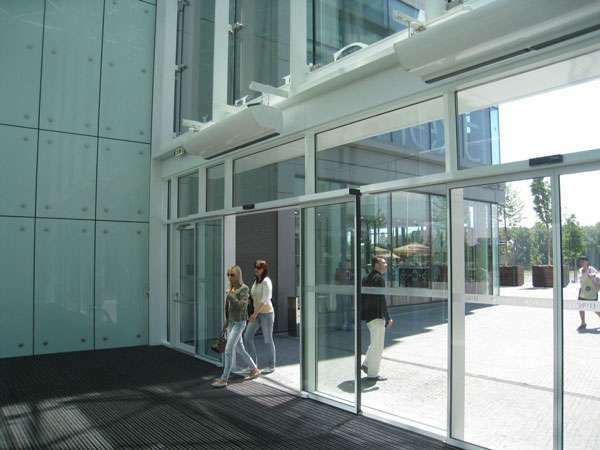 Efficient air curtains will save up to 80% energy looses across a doorway compared with a door without air curtain. During the winter an air curtain creates a barrier that keeps out the cold air while in the summer the air stream keeps out the hot air from outside. Bearing in mind the energy saved, the average payback time for an air curtain is between 2 and 5 years depending on usage and climate conditions.